- I don't know if James McCann is a regular MLB catcher. I just know he can't be any worse and is probably an upgrade from Bryan Holaday. People ask me all the time why the Tigers are handling the situation with McCann this way. I have no idea. Their explanations make no sense to me. He is not a kid. He is in his mid-20s. He does have sufficient minor league experience and he did have a good year at Triple-A Toledo this season. I mean, the guy hit .342 against lefties with a big sample size. He might have made that play at the plate tonight Holaday didn't. What do you think? 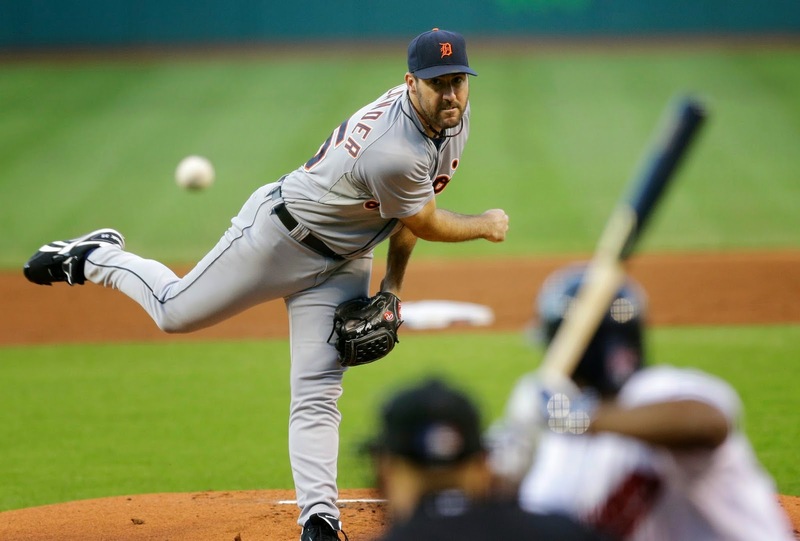 - Justin Verlander competes. He just isn't himself. There isn't the same zip on his fastball this season, and it hurts his secondary pitches. But I do believe, with a full off season of rest and workouts, he will return to full form in '15. - At times, honestly, the Tigers look like the Keystone Cops defensively. Did Ian Kinsler and Victor Martinez butcher that popup or what? The Tigers defensively sure aren't helping Verlander's cause. Holaday Pat, is not totally useless. He did get a hit tonight. I do expect McCann to give Holaday competition in 2015. The loser goes to AAA. Having three MLB catchers is a nice advantage if injury should occur.